The 2016 Ram ProMaster City opens a door for incremental growth of Ram's brand sales volumes. The 2016 Ram ProMaster City comes in Cargo and Wagon versions. 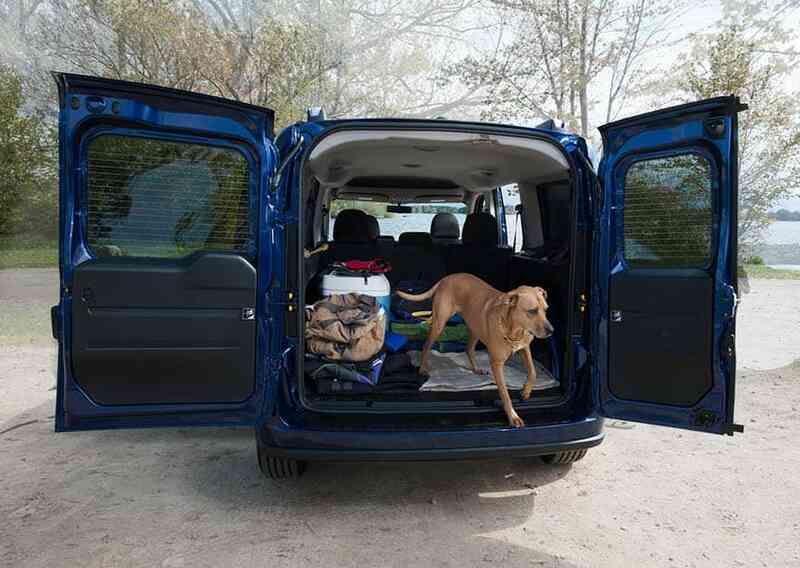 The Cargo van has just two front seats and is set up for hauling, while the Wagon is a five-passenger vehicle with a backseat. Small cargo vans like the ProMaster are just slowly starting to gain traction here in the United States, with the ability to maneuver through cities easily with a more fuel-efficient alternative than traditional large vans. Hence the name the ProMaster City, tight corners and traffic jams are no match for the Ram ProMaster City®, built especially for the demanding conditions of life in the city. Under its hood, the Ram ProMaster City has a much larger engine than some of its closest competitors. All versions come with a 178-horsepower 2.4-liter four-cylinder engine equipped with a nine-speed automatic transmission. The standard 2.4L Tigershark® MultiAir® 2 engine is the largest and most powerful four-cylinder engine in the Ram vehicle family and includes a host of components designed to enhance the performance and fuel efficiency of the Ram ProMaster City®. An unsurpassed towing capacity+ of up to 2,000 pounds and a Best-in-Class payload rating+ of up to 1,883 pounds together ensure that you can bring along all the gear necessary for your toughest jobs. The EPA's estimated fuel economy for the ProMaster City is 24 mpg combined (21 city/29 highway) and payload capacity is rated at 1,883 pounds. This is tops among smaller commercial vans. Whether you're transporting passengers or cargo, the Ram ProMaster City® delivers. You have the ability to choose between Tradesman® or Wagon configurations to suit your needs. Tradesman® models feature a Best-in-Class cargo capacity+ of 131.7 cubic feet and a Best-in-Class cargo width between wheel wells of 48.4 inches, plus a minimized side wall and rear door trim inserts for upfit flexibility. 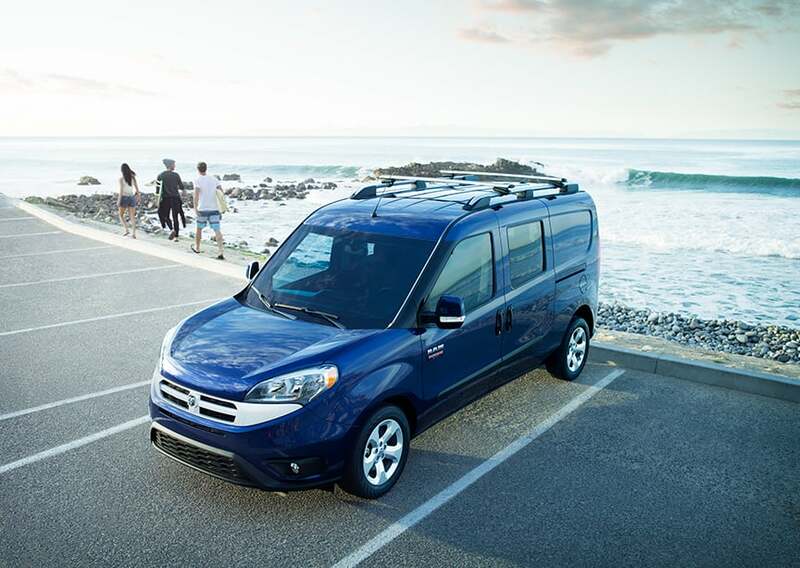 The Ram ProMaster City® Wagon; however, allows for nine seating configurations with a three-passenger 60/40 split second-row seat that can fold and tumble for stowage. 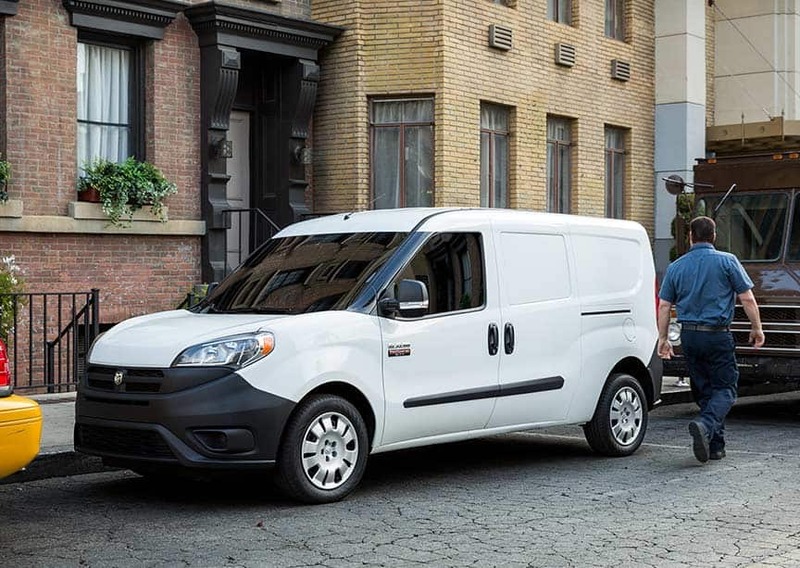 With a Best-in-Class cargo capacity+ of 131.7 (cargo van only) cubic feet and a Best-in-Class cargo width between wheel wells+ of 48.4 inches, you can fit almost everything you need for work or for play in your Ram ProMaster City®. The nearly vertical side walls mean that very little space is wasted when you upfit the cargo area of your van with shelves or work surfaces, and the cargo van features Best-in-Class wheel-to-wheel cargo width+ of 48.4 inches coupled with a cargo area length of 87.2 inches to help you fit more on the floor of your van. Small business owners seeking a compact van will want to take a look at the 2016 Ram ProMaster City. It offers impressive cargo volume and payload ratings for a vehicle of this size. The 2016 Ram ProMaster City aggressively competes in the compact Class 1 van segment with a focus on commercial customer needs and total cost of ownership2016 model offers technology, interior and tire upgrades. Available in cargo and passenger wagon configurations, ProMaster City creates opportunity for Ram product line expansion and increased commercial market share. A rearview camera and rear parking sensors are optional. With the 2016 RAM Promaster City, you can look forward to a smooth ride given the van's independent multilink rear suspension and relatively low ride height and steady, secure handling.